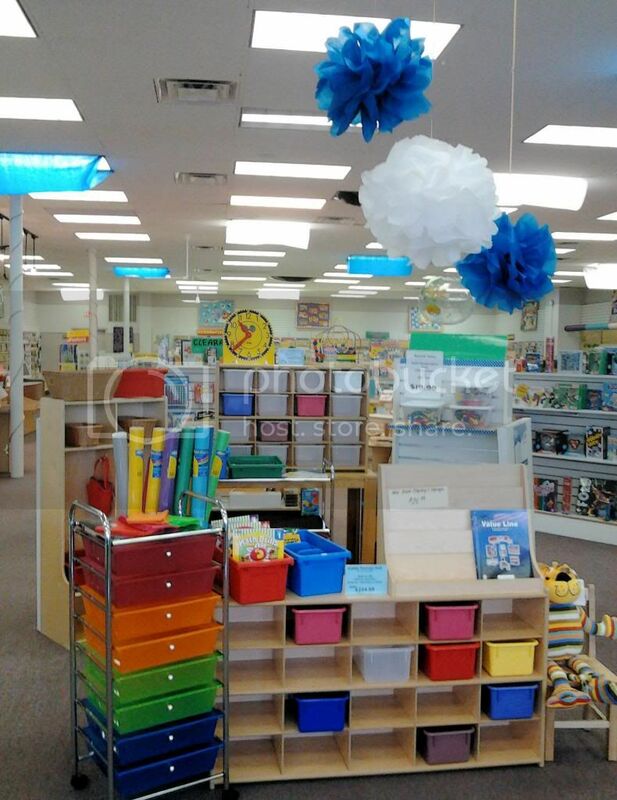 Looking through the latest classroom decor catalogs you can't help but notice the hanging pom pom trend. Fun, fluffy poms are being used to add impact and atmosphere to classrooms. However, most tutorials on the internet use tissue to create the poms and unfortunately fire codes may prevent you from using this material in your classroom. 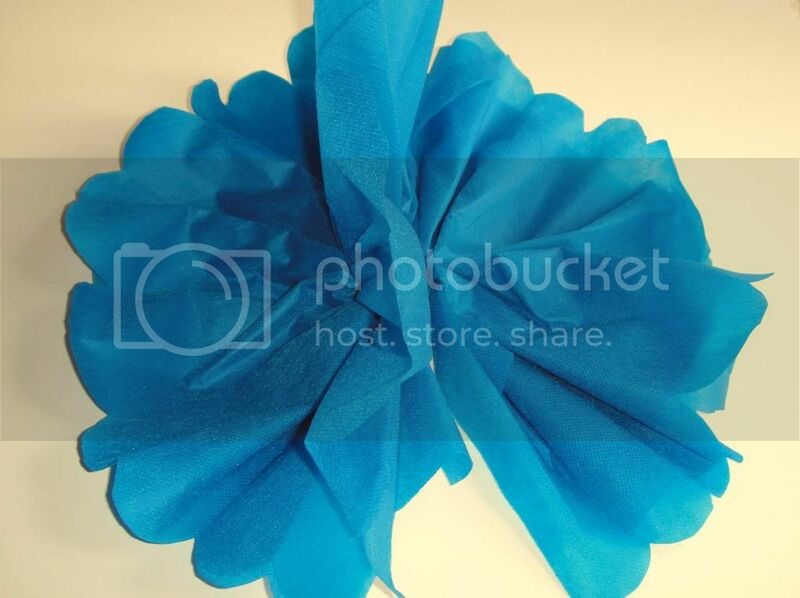 Read on for a solution and an easy tutorial and you'll be making pom poms to hang in your classroom in no time. Want the hot trend fluffy pom pom look in your classroom? Use Smart-fab(R) to make your poms. They will pass those fire codes and be fluffy, vibrant, and sturdy. Smart-fab(R) is the smart alternative to paper and cloth with endless creative possibilities! 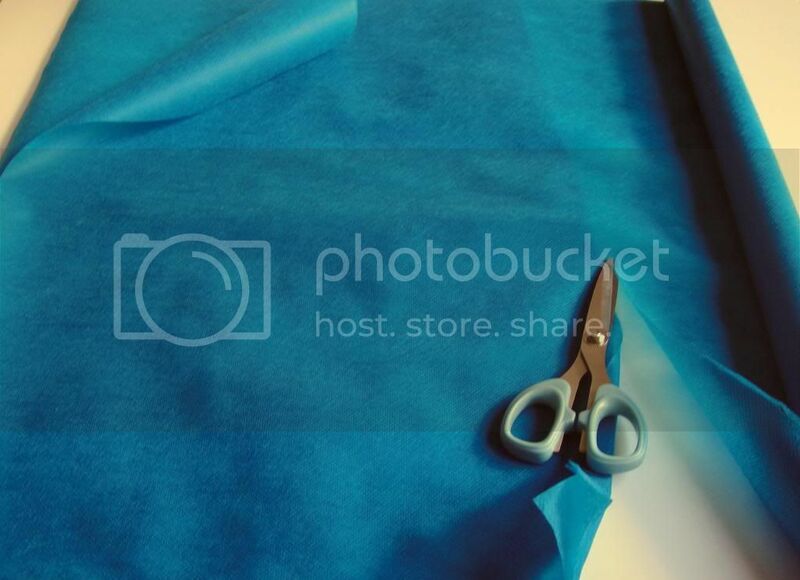 This innovative non-woven fabric is easy to cut, fold, glue, sew and staple – and even paint and draw on. Smart-fab(R) is strong, yet flexible, but doesn't fray. Perfect for an unlimited range of indoor and outdoor projects, including bulletin boards, banners, arts & crafts and scenic design. And, it's recyclable! Smart-fab(R) material. Note:The amount will vary based on the size and number of pom poms you will be making. We used a 4ft x 4ft piece to make our sample pom poms. Smart-fab(R) is now also available in packages of 12 inch by 18 inch sheets. 1. Cut 8 pieces of Smart-fab(R) approximately 20 inches by 30 inches in size. You can use your ruler to be precise but we just estimated. For even simpler but smaller poms use 8 pre-cut 12 inch by 18 inch Smart-fab(R) sheets. 2. Stack pieces neatly on top of each other. 3. Starting on the short end (20 inch) side make a 1 inch accordion fold, creasing each fold,.and folding until the length (30 inch) is completed folded in. 4. 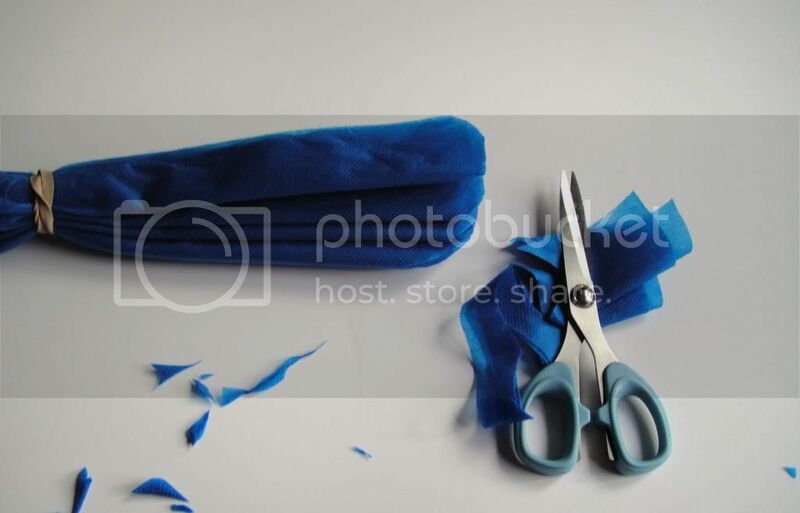 Grasp the center of your folded fabric and loop your rubber band around it. Secure you material tightly by wrapping your rubber band around several times. 6. Seperate the layers of Smart-fab(R) pulling from the first layer on one side and then repeat on the other side. Make adjustments to the position of your layers as need be to form a full pom pom. 7. Fluff your pom by shaking it or pulling layers further. Don't worry...Smart-fab (R) is tough and should not tear! Use scissors to free hand cut any straight edges and to adjust any sides that are not a uniform length. 8. Tie a length of monofilament or ribbon to the rubber band inside your pom pom. The length of your monofilament or ribbon will be determined by where you are hanging your creation. Use a ceiling hook and several different lengths of ribbon or monofilament on a few pom poms to create a dimensional look. Make colorful pom poms by using different colors of Smart-fab(R). Use an alternating color that matches a holiday or season to create a festive atomsphere. 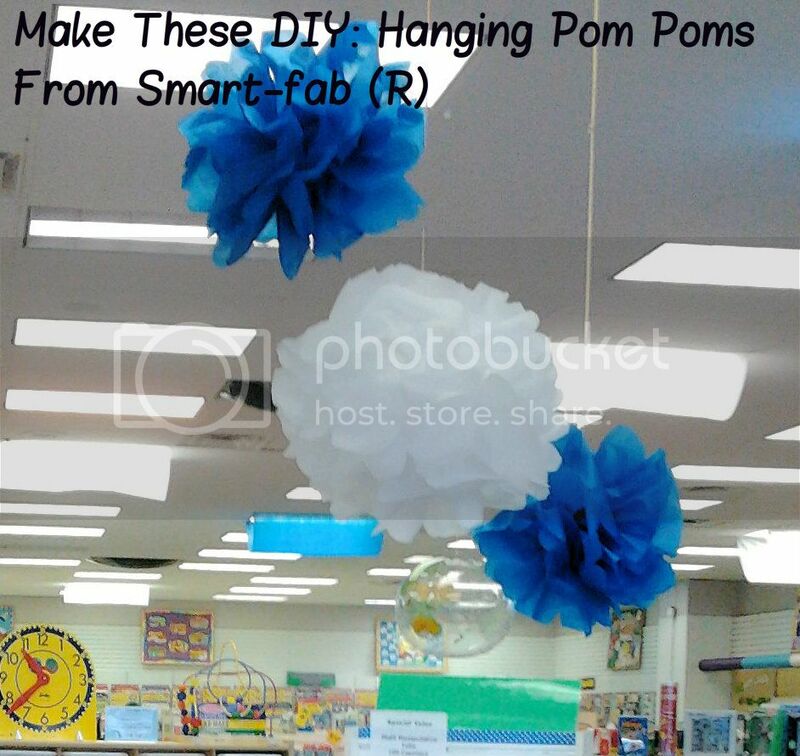 Hang different colored pom poms above your classroom centers. Coordinate the color to center to easily direct students to the center where they will be working. Make lots of smaller size pom poms and rope them together to create a fun garland to trim your classroom bulletin boards. Find more great classroom decorating ideas and ideas for using Smart-Fab by following us on Pinterest! You can also find more tips, new product announcements, and coupons when you "LIKE" us on Facebook!